Gold prices fell for the second straight day on Saturday owing to a weak global trend and soft demand in the local market. In the global market, gold prices fell as the dollar resumed its rally. Gold prices fell for the second straight day on Saturday owing to a weak global trend and soft demand in the local market. Silver rates, however, gained due to increased offtake from industrial units and coin makers, reported news agency Press Trust of India (PTI). In the global market, gold prices fell as the dollar resumed its rally versus a currency basket after stronger than expected payrolls data cemented expectations of a third interest rate increase in September this year, according to a Reuters report. 1. At the bullion market, 10 grams of gold was being sold at Rs 31,350, down Rs 100 as compared to Friday's prices. 2. 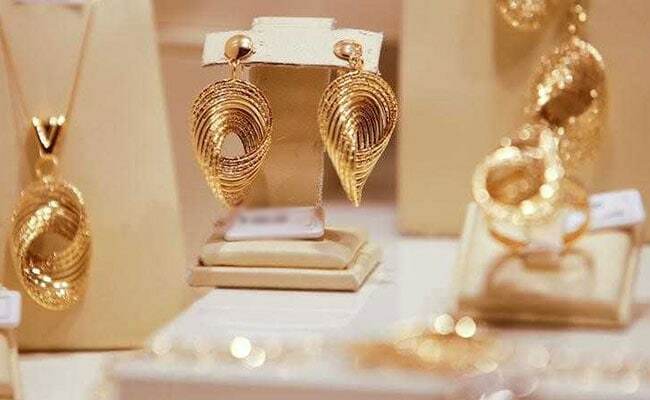 Besides a weak trend overseas, easing demand from local jewellers and retailers at the domestic spot market weighed on gold prices, said marketmen. 3. In the national capital, gold of 99.9 per cent and 99.5 per cent purity drifted further lower by Rs 100 to Rs 31,350 and Rs 31,200 per 10 grams, respectively. The yellow metal had lost Rs 60 on Friday. 4. Globally, gold prices fell 0.28 per cent to $1,196.20 an ounce in New York in Friday's trade following upbeat US jobs data that strengthened the dollar and eroded demand for the precious metals as a safe haven.